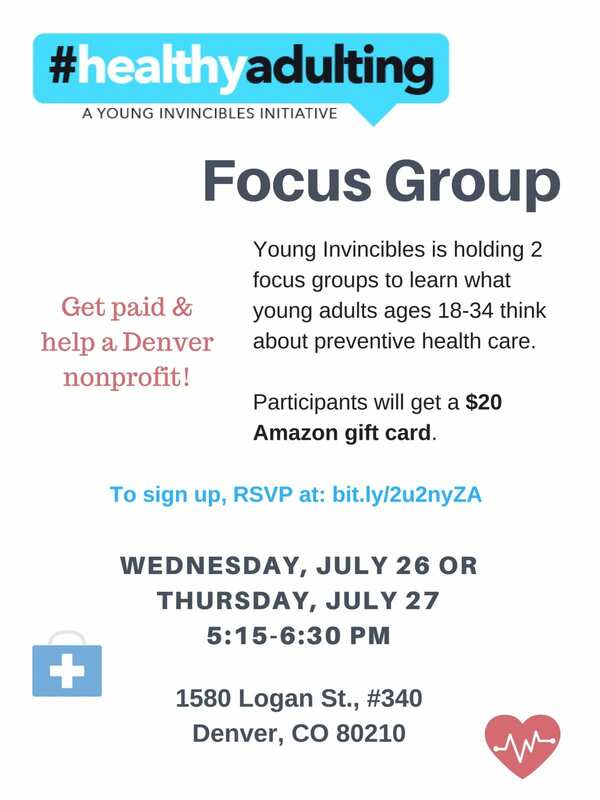 Young Invincibles is hosting focus groups to find out what young people aged 18-34 think about preventative healthcare. All participants will receive a $20 amazon gift card. Help out a local Denver non-profit and get paid to do it!